Home » Tips » Which Pins? Which pins are the ‘right’ ones? There are all sorts of different pins out there, all made for a different craft but for dressmaking I love to use fine long pins, good quality ones should slide in and out of the fabric smoothly without snagging or leaving a noticeable hole. My favourites are the classic dressmakers pins made of mild tempered steel 33mm long and .61mm wide, however, glass-headed pins are handy for marking where your notches are on your pattern whilst cutting out, to avoid missing them. Don’t tolerate blunt or thick pins they will wreck your fabric. 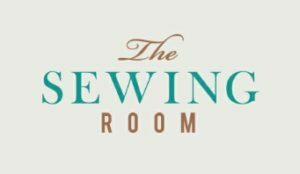 My website has had a slight makeover which I hope you like (www.the-sewing-room-malvern.co.uk) and, finally, my Fabric Shop is up on the site...hooray !! Please remember I'm not a wholesaler, these are all one-off fabrics in very small quantities collected over many years. Many of them are vintage. I've done my best to describe and photograph all of them including any faults please take a look. Sandwich your work between two pieces of tissue paper, one on the ironing board and one underneath the iron to stop glue melting out on to either surface and causing a sticky problem for future projects! Interfacing Tip 2 – Iron on or not? Interfacing is either the ‘sew-in’ type (ie no glue) or the iron-on sort (the rough side is the glue side). The latter is more popular - ensure you hold the iron on it for long enough or you’ll get ‘bubbling’ where the glue hasn’t melted.